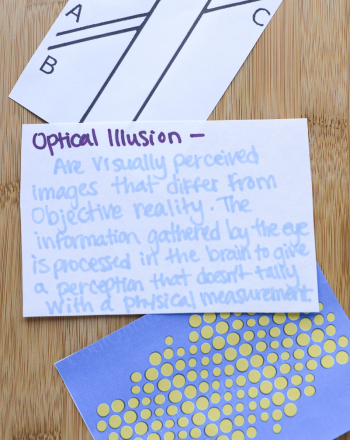 Help young learners discover why cat’s eyes glow in the dark with this simple experiment. 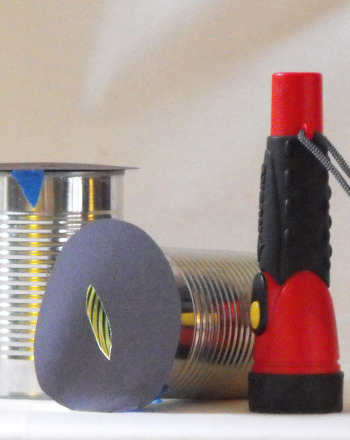 Your child will use one clean can to make a model of a human eye and another clean can to make a model of a cat’s eye. A flashlight will help her learn about cat’s eyes and reflected light. Why does your young scientist think that a cat’s eyes glow at night? Explain that you are going to make two models to test this. One model will be of a cat’s eye and the other of a human eye. Be careful with this next step. Some cans have sharp edges. Trace one of the cans onto the red construction paper. Cut out the circle. Slip the red construction paper into the base of one can. This will be the human eye. The paper represents the blood vessels and retina at the back of a person’s eye. Using the can as a guide, draw a circle that is slightly larger than the base of the can on the black construction paper. Cut this circle out and then carefully cut a round circle, the pupil, from the centre. centre this iris and pupil on top of the can. Secure with several pieces of masking tape. Now it is time to make the model of the cat’s eye. Use a piece of aluminum foil to line the base inside of a second can. Make sure the shiny side is up. Cut a second circular iris from black construction paper. From the centre, cut out an oblong circle that looks like a cat’s pupil. centre this on top of the second can and tape into place. In a dark room, shine a flashlight at both models. Which one seems to glow? If the cat’s eye model doesn’t reflect the light, the can might be too deep. Wad up a paper towel and stuff it into the can. Now wad up a piece of foil and put it on top of the paper towel. Tape the pupil back into place. Shine the light at the model and it will reflect light because the light bounces off the foil. In a real cat’s eye, a membrane called the Tapetum lucidum Reflects light to hit the light receptors in the cat’s eye. This helps the cat see in the dark. 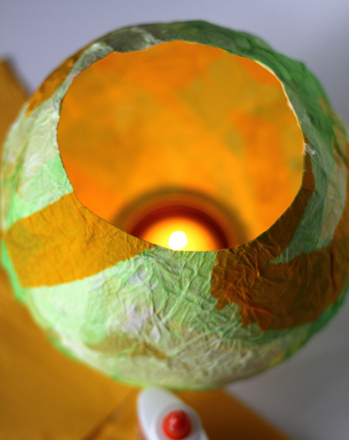 Create a beautiful tissue paper lantern with your child to help brighten up a special occasion. This coloring page features the lizard famous for eyes that can see 360 degrees around: the Parson's Chameleon! Colour the boxes to help your eyes decipher the words. Have your kindergartener sharpen those eyes and find them! 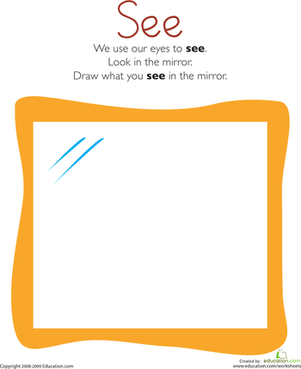 See how sharp your child's eyes are with this worksheet. There are 10 differences in these two scenes of a dashing prince flirting with a stunning princess. Does your kid have a sharp pair of eyes? Does she point out things she sees? Give her the challenge of finding the letter A four times in this worksheet.